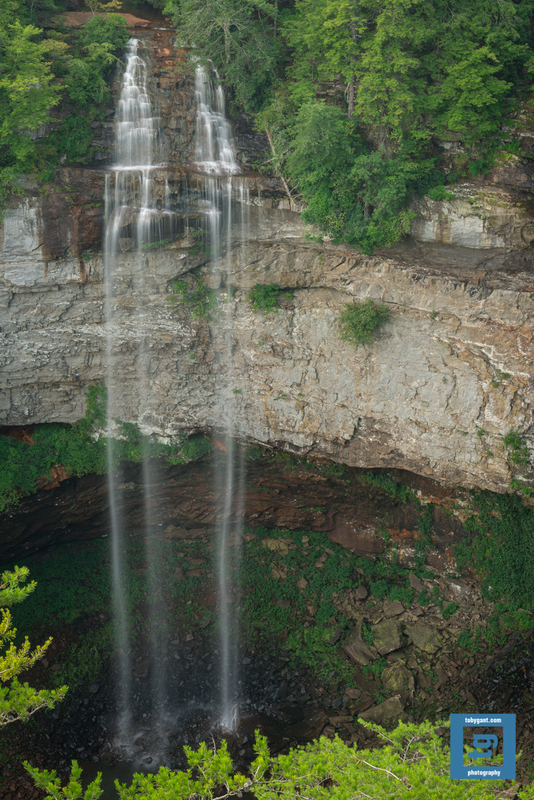 This entry was posted in Adventure, Fine Art, Fine Art Photography, Nature, Photography and tagged explore, fine art, landscape, outdoors, photography, Tennessee, Toby Gant, waterfall by tobygant. Bookmark the permalink. It’s gorgeous! The whole series is lovely. Thanks for the kind words, photography, Deborah. That is a beautiful photo of that waterfall, Toby. Limestone cliff? Thanks for the kind words as always, Lavinia. I assumed looking at it that it was limestone. But, I wanted to be factual in my response. So, I did some research. Even though there is limestone throughout the park, this cliff is actually sandstone. Thanks for the question. Falls Creek Falls is a gorgeous place and you captured it perfectly. Thank you! This is such an awesome shot Toby…mesmerizing. The last cascade of the fall is incredibly long! Do you happen to know the length of the final drop? I looked but, I could not find the length of the final drop. What I can tell you is that the photo really does not do it justice. It is VERY tall. 😀 Thanks for looking into this! Thanks for the kind words, Olivia. You are too kind. I’m certain you’re going to be a wonderful photographer. You can see the creativity in your blog. The only other ingredient is practice. I’ll be following your progress on your blog. Thanks for your kind words. I plan to upgrade my camera soon, and put more photos on my blog. I would love to be like Steve Parish who sells his photos in calendars, postcards and bookmarks. Sounds exciting. Best of luck! Wow! What a beautiful waterfall!